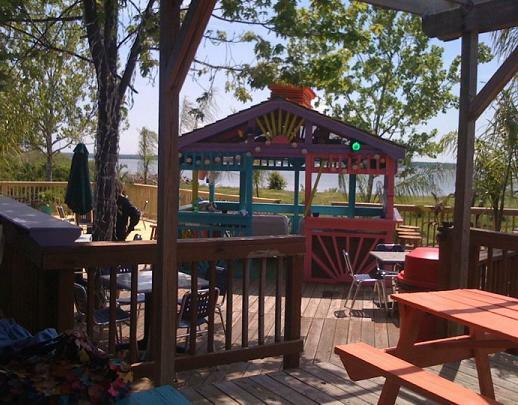 Located on Gum Bar Point, what the locals sometimes refer to as "Ghost Point" is the Dockside Restaurant & Tiki Bar. Formerly known as Blue Heron Pub, The Fathom Club, Anchor, Happy Clam, Crab Shack restaurants and even once serving as a Coast Guard station, this area has been through many changes. Before the Europeans arrived, the Native American Indians settled here and were the original "Oyster Men" to work these waters. 1607 - Captain John Smith sailed past Gum Bar Point when the area was occupied by the Indians who were part of the Algonquian Tribe. The famed Chief Powhatan was their leader. 1640's - John Washington, great-great-grandfather of our first president George Washington (born in Colonial Beach!) was first mate on a British trading ship that was heading back to England. The ship sank off the point, and Washington swam to shore. Before the trip could be continued, Washington met and married Ann Pope of Popes Creek and they made this region their home. During Colonial days, several renowned men owned this land. Lord Fairfax "King" Carter, and "Light Horse" Harry Lee each held title to the point at various times. 1886 - Henry Kintz bought the area where present-day Colonial Beach sits for the purpose of developing a waterfront resort community. 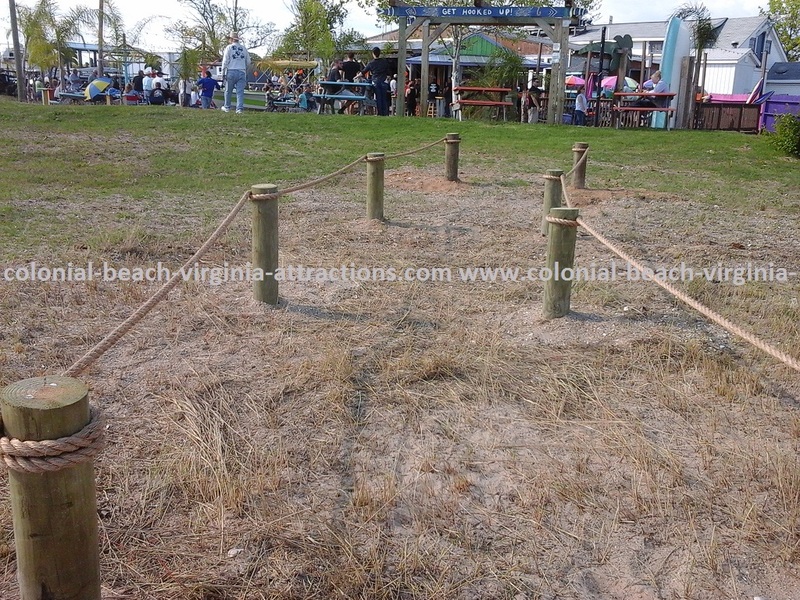 1892 - John Givens turned over the title to the newly-incorporated Town of Colonial Beach. 1920's - The town leased the land to William Hopkins. 1932 - William Hopkins built the structure (which is now the restaurant) to shuck and pack oysters and house his oyster-shucking personnel. 1933 - the oyster house floated away during a flood. After it was pulled back onto its foundation with the help of mules, a concrete floor was poured which anchored the structure. Fierce "Oyster Wars" were fought over access to the rich oyster beds offshore. 1940's - The town leased the land to to Martin Lunsford. See the marker at the entrance to Castlewood Road with information on it about "Lunsford Point"
1946 - Mr. Lunsford began construction on the marina. He and wife Scottie added over 200 covered and open slips, marine services, a restaurant and used the building as a boarding house. 1985 - the area was dubbed "Ghost Point" by locals when a flood revealed the remains of men who were probably forced to work on a 17th century fishing boat. In exchange for their hard labor they were murdered, placed into crates, and buried in shallow graves on the beach. 1988 - The Schick family purchased the 8.2 acres from the town. They run the Colonial Beach Yacht Center onsite. 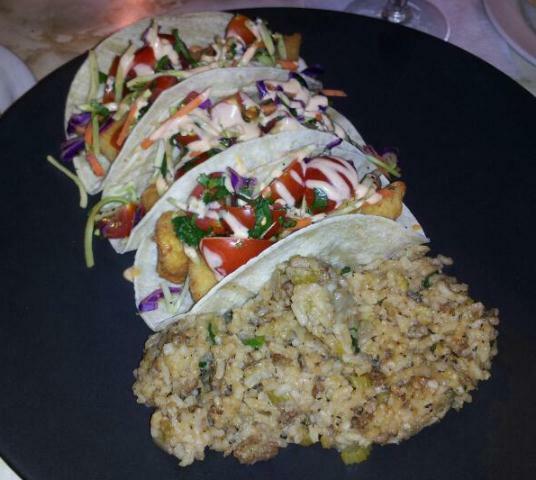 These days, the area where Dockside is located is a haven for boaters and others seeking a fun place to hang out and enjoy a nice meal and some cool beverages. Friday nights feature Trivia Contests and acoustic music and there are live bands on Saturday nights year-round. 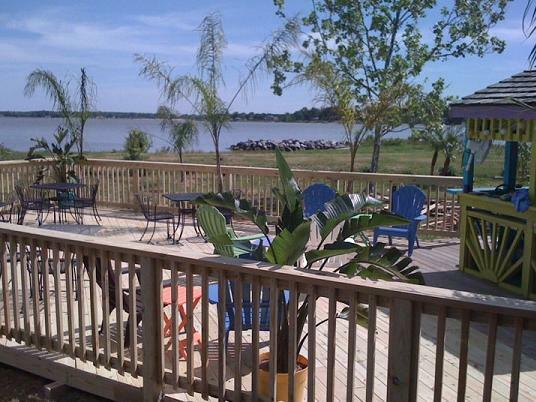 In the spring and summer they also have Sunday Fundays with live music out at the tiki bar.. I can always tell when there's a band playing at Dockside, because the sound carries across the water towards my house. There's a Trolley stop here!